• Flowers must be planted in a prepared flower bed or urn, and be properly maintained within a 12” radius of the monument. • Artificial decorations must be appropriate and properly maintained within a 12” radius of the monument. 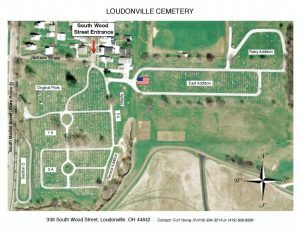 Loudonville Village Ordinance 247.03 USE OF LOTS.